Star Wars: The Force Unleashed II was originally released for the Xbox 360 and Playstation 3 in 2010. It is a direct sequel to The Force Unleashed. In May it was included in the Games with Gold program, gifting a free version of the game for Xbox 360 and Xbox One to anyone with an active Xbox Live Gold account. As soon as you start up the game, you realize just how hindered by the previous generation of consoles The Force Unleashed was. The original game started out as a very late Xbox and Playstation 2 title, and the way everything is designed and laid out in The Force Unleashed II makes this very noticeable. I attribute this shock in part to playing the two games back-to-back. In The Force Unleashed II, health and force bars are smaller and less intrusive on screen, the complex power up system that required a load screen after every level up is gone, and Sam Witwer continues to chew all of the digital scenery. The game focuses on the maybe-possible clone of Starkiller, Darth Vader's secret apprentice. The ending of the first game is a bit nebulous about whether or not Starkiller died, so who knows if you assume the role of Starkiller or a clone of him. General Rahm Kota, the Jedi Starkiller aligns with in The Force Unleashed, constantly reminds the player that Jedi cannot be cloned, therefore Starkiller isn't a clone. Unfortunately, the series was given a pre-mature end when Disney bought the rights to Star Wars, so we will never know. 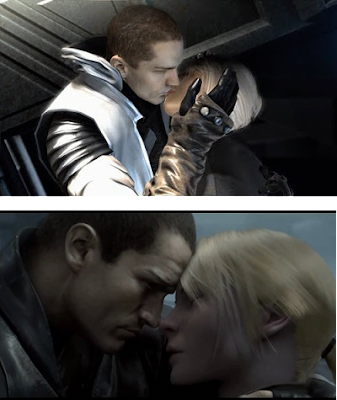 Nearly all of the cast from the first game returns, and the graphics improved so much that the characters actually look like the actors portraying them. This is especially true for the heroine plot device of the story, Juno Eclipse. While she is largely absent compared to the first outing, she at least looks like a person, as opposed to a series of mismatched polygons. Her character is still incredibly non-existent, even more so given her reduced role, which is frustrating. There aren't even any female Jedi to fight against like Shaak-ti or Maris Brood. UGH! The other returning main character, General Rahm Kota, is fine. Not great, not bad, just fine. You can see shades of Kanan Jarrus from Star Wars Rebels in the DNA of Rahm Kota, as the two have very similar arcs, armor designs, and teaching styles. After escaping from Kamino, the cloning planet from Episode II, Starkiller travels across the galaxy in search of the rebellion and his love interest, Captain Juno Eclipse. He believes that finding her will answer the question of his true identity: is he Starkiller, or is he a clone. 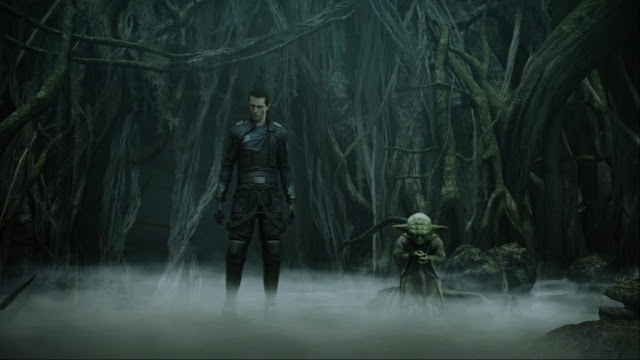 After tracking down Jedi Master Rahm Kota on Cato Neimoidia, Starkiller goes to Dagobah to meditate somewhere strong in the Force. After trying to divine the location of Juno, Starkiller tells the rebellion the location of Kamino, which of course happens to be where Juno is as well. "Know why I am here, you do?" "Fan service mostly..."
All of this is just mindless background noise though. The Dagobah level is nothing but a series of power ups and cut scenes, designed to force Yoda into the story line. The escape, and later assault, on Kamino is cool because the graphics are stunning, even if the game is 7 years old. Having torrential rain pour down as you throw Stormtroppers and TIE fighters at each other is awesome. And battling on a starship while it is in the process of being boarded is pretty standard, but once vehicles like AT-AT's start boarding, it turns the corner into fun again. One thing the developers do right is the introduction of enemies types spread evenly throughout the game. In the previous game, enemies were defined in the first few levels, and then just got repeated from that point on. 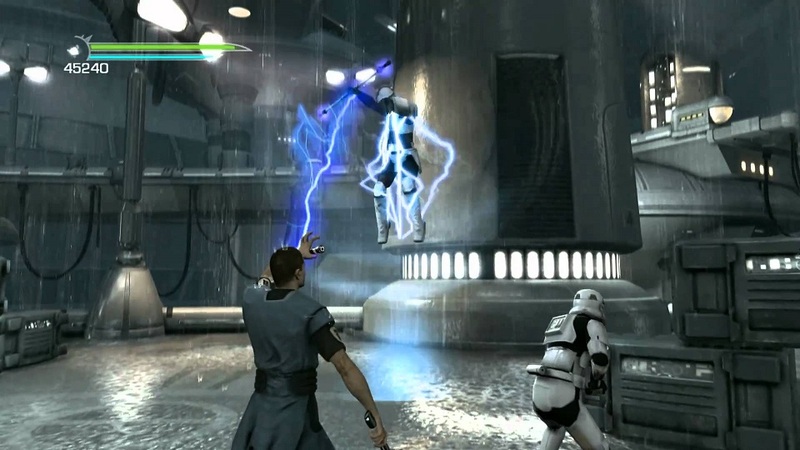 The Force Unleashed II takes a different approach, spreading the enemy types out, while introducing new ones that only appear a couple times. Having these unique enemies show up sparingly breaks up the flow and challenges the player, and it does this without most of the combat becoming an automatic reflex. Starkiller even has new powers. There is the added second lightsaber, but there is even more force trickery added as well. Mind control is the big new addition, and it is hilarious and effective. The suggestions Starkiller makes are random, but the results are always great. Sometimes a Stormtrooper will turn on its friends, proclaiming them to be rebels, or just jump out of a window. The unique enemies also require unique solutions to defeat, such as using a force blast to destroy spider droids, or grabbing rockets out of mid-air with force grip. On the melee side of things, Starkiller has two different types of throws: one for massive damage, and one for setting up air combos. All of this, on top of having nearly every combo from the first game unlocked from the outset, lets you treat combat as a set of options, instead of a mindless battle against frustrating hit boxes. That being said, there are two downfalls to the game. The first is the incredibly lengthy boss battles. Most of the boss battles utilize the gaming trope of having multiple phases, but they have so much health that each phase lasts way too long, and you find yourself groaning that there is yet another phase to the fight instead of it just ending. The second downfall is that it is incredibly short. The Wii version of the game did have a multiplayer component, but the Xbox 360 and Playstation 3 versions were a strict single player affair. The story mode takes about 8 hours to complete, and sadly there is very little replay value beyond collecting holocrons that have very little effect on anything except visuals.